New York - With the traditional Labor Day marker that starts presidential campaigns in earnest, television outlets are getting ready to ride the momentum. 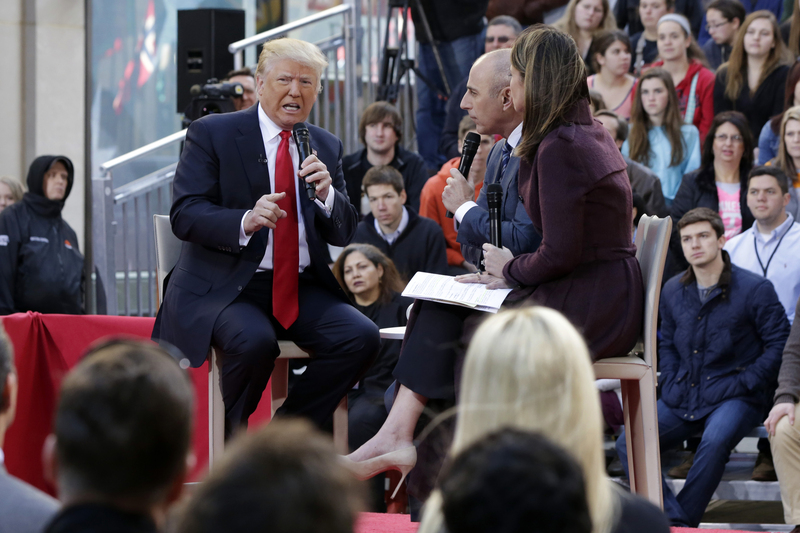 NBC News announced Thursday that Matt Lauer will moderate the “Commander-in-Chief Forum” next Wednesday at the city’s Intrepid Sea, Air & Space Museum. Both Hillary Clinton and Donald Trump will appear separately to answer national security questions before an audience of veterans and service members. NBC and MSNBC will air the 60-minute program simultaneously at 8 p.m. EDT. The Clinton doc airs first on Labor Day. CNN will repeat them on Sept. 10, with the order flipped. MSNBC also announced Thursday that it has given a name and premiere date to Brian Williams’ nightly campaign news show that will air until Election Day. “The 11th Hour” debuts Tuesday, Sept. 6 at 11 p.m. EDT.